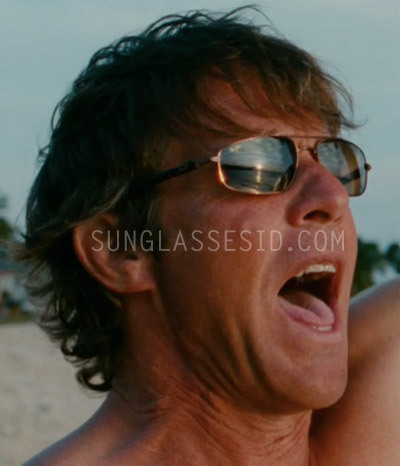 In the movie Soul Surfer, actor Dennis Quaid wears a pair of Maui Jim Kahuna sunglasses. The sunglasses worn by Dennis Quaid are metallic gloss copper with brown polarized lenses (modelnumber H162-23). The same glasses are also available with a gunmetal frame and grey polarized lenses. Maui Jim sunglasses are perfect for outdoor activities or a little beachside rejuvenation. Lens treatments and frames are saltwater safe. A bold, modified aviator wrap that offers generous coverage for protection against wind, blowing sand and debris. The name "Kahuna" means a highly trained expert in an ancient and distinctly Hawaiian craft. Canoe-making. Fishing. Healing. And yes, even surfing. Can a kahuna be big? Sure. Why not. Available on Amazon.com and eBay.